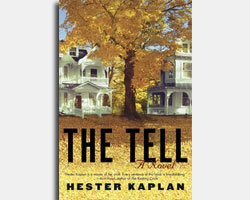 Hester Kaplan is the author of the new novel The Tell. 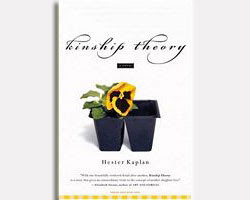 Her other writing includes the novel Kinship Theory and the short-story collection The Edge of Marriage. She teaches creative writing at Lesley University, and she lives in Providence, R.I.
Q: What is the significance of the title The Tell? A: I first heard it as a gambling term, the little gesture you make that you’re not aware of but everyone else knows you’re not telling the truth. 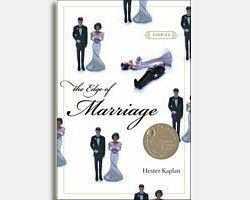 I liked it for that, and for the way it works in a marriage. Q: The truth is a big theme in the book. A: What kind of truth do you tell to each other, and the ways in which we bend the truth without lying—almost trying to control the situation. Q: Why did you choose to write from the perspective of your character Owen? A: Seventy-five percent of what I write is from the perspective of a man. I would need 200 years of therapy to figure out what that’s about. It gives me more perspective to write from a male point of view—I can take myself out. And I’m interested in how men observe women. I felt compatible with [Owen], even though I’m not like him. Q: Why did you feel compatible with him? A: Because of his tendency to overthink, because of his fear. He knew the truth about what his wife was up to before he allowed himself to see it. He was falling victim to things I try to keep myself from doing—avoiding conflict, being afraid I’m about to be abandoned…some of my more existential fears. I was interested in the perspective of someone who adores his spouse and doesn’t necessarily want to see the truth. Q: Providence is almost like another character in the book, as is Cape Cod. What is the importance of setting in The Tell? A: It’s huge. I’ve lived in Providence for 25 years, and I still feel like somewhat of an outsider, and I always will. It’s a wonderful place to write from—it’s so quirky, and so small. It feels like a big town. We have a wonderful and colorful criminal past, and a lot of that holds over…. I spent a lot of time on the Cape as a kid, and I still go there. Q: Gambling is a key theme in the book. Why did you decide to include that as part of the plot? A: [On occasion] my husband would be at various conferences and I tagged along, and [ended up] at casinos. I hate the places, but I was fascinated by what goes on there, [especially] with women and slot machines. Unlike drug addictions, where you can read the ravages on people’s faces, this is a hidden addiction. I was interested in the question of what happens if someone like me became addicted to slot machines. I thought it was unlikely, but it’s not. I talked to a lot of women who became addicted to slot machines, and it was devastating. Their downfall was so severe. They said they never thought that would happen to someone like [themselves]…. In Rhode Island, we’re so close to Connecticut, with the big casinos, that the issue of gambling is always in the news….It’s a huge issue. People get moralistic about it, and on the other hand, these places bring in an enormous amount of revenue. It’s a mixed bag. I’m not a proponent of casinos in any way, shape, or form. Women are the majority of people who get addicted to slot machines. One theory is that they are alone [as opposed to a table game with other people], no one is watching them, there’s no man at the table second-guessing them. Q: Your character Wilton, Owen and Mira’s neighbor, is a former TV star who is sometimes recognized for a part he played decades earlier. What do you think about long-ago fame, and the impact it can still have on someone’s life? A: I’m fascinated by it. It’s such an interesting phenomenon. I don’t think it’s new, but it’s increased with all the ways we can revisit our favorite stars. People never really disappear, but they get replaced. I’m interested in the issue of how we’re affected by celebrity, even if [it involves] one whose name you can’t even remember. 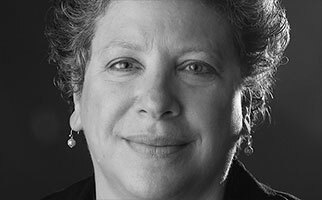 Q: You have written about growing up with two writers [Anne Bernays and Justin Kaplan] as parents, “I saw my parents enter into something unknown and unpredictable with their own work every day.” Is that how you feel about your own writing? A: That’s absolutely true for me every day. Every day, I think about what will happen if today I’ve forgotten how to write, or I look at [what I’ve written] and say, what is the point? It’s not even daily, it’s twice daily! For me, it’s a struggle, a constant trying to reaffirm that I’m doing something worthwhile. Q: Do you share your writing as a family, or keep things separate? A: My husband [Michael Stein] is a writer, and we share our work. In terms of my parents, I’ve had very little to do with them in terms of my writing. In the last 10 years, I once sent them a story where I just could not figure out the ending. It’s so loaded, and it gets personal. In terms of the business, I grew up with two writers who actually were able to have a career writing. There aren’t too many of the people I know [in that situation; for example], I have two teaching jobs. The business has changed so dramatically, it’s almost hard to keep up with it. A: I am working on another book now, about the house I grew up in, in Cambridge, [Mass. ], and what went on there.